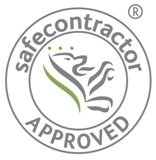 Premier Planters is awarded accreditation from Safecontractor for its commitment to achieving excellence in health and safety. Under the Safecontractor scheme, businesses undergo a vetting process which examines health and safety procedures and their track record for safe practice. Those companies meeting the high standard are included on a database, which is accessible to registered users only via a website enabling them to vet potential contractors before they even set foot on site. Over 210 major, nation-wide businesses, from several key sectors, have signed up to use the scheme when selecting contractors for a broad range of services – including corporate interior landscaping. Complete the details below and we will contact you.